NOTE: This review was last updated on May 12, 2017. I’m super excited to be doing this BigCommerce review – I’ve used the product for more than three years for one of my online stores, and I’m eager to share my experience (both the good and the bad) with you. I’m going to dive in deep and try to give you one of the most useful BigCommerce reviews around. You also have the ability configure prices inclusive or exclusive of tax and control the way that sales taxes are configured for shipping and for gift wrapping. For instance, in my store, I choose not to charge sales tax on shipping because our items ship via truck, but in many states and situations it’s required to collect a base sales tax on shipping and handling charges. My particular favorite is ShipperHQ, which allows estimation for Truck / LTL Shipping (for large products that UPS/FedEx can’t ship), shipping from different warehouses, and drop shipping from suppliers. It also has a very powerful rules engine that allows me to handle pretty much any advanced shipping situation that I’ve encountered. Some of the plug-ins come with an additional fee, but the time saved in handling orders and accurately quoting shipping prices is well worth it in my opinion. 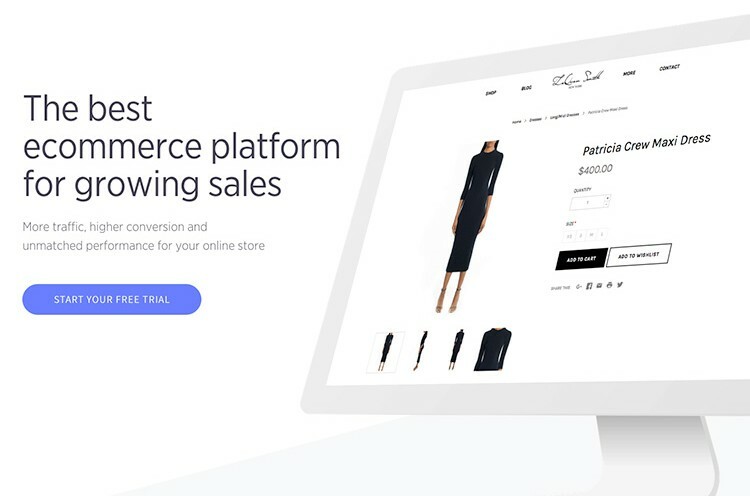 It’s highly flexible, and yes, there is a bit of a learning curve, but once you get the hang of it, it really enhances the usability of your store, the management of your inventory, and the ease with which you can become a badass e-commerce business owner. A Home Page carousel that features up to 5-page width images with configurable text and clickable buttons that you can feature products, category, sales, etc.